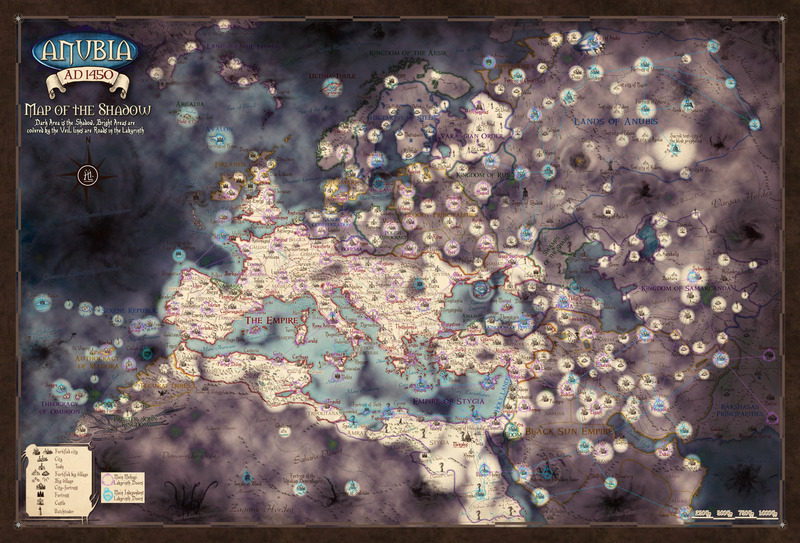 The following map shows the spirit worlds known as “The Shadow”. The patches of light are places where the Veil that protects the real world from the Shadow is strong, the rest is where the Shadow melds with the real world making it chaotic and more magical, but also the hunting ground of Demons, Tulpas and other creatures from the Shadow. The mystic runes are doors from the “real” world to the Labyrinth, a metaphysical place created by Lucifer that connects the whole Shadow. The lines are the road that have been “secured” in the Labyrinth: stray away from them and you are at the mercy of the creatures and strange laws that have domain there. 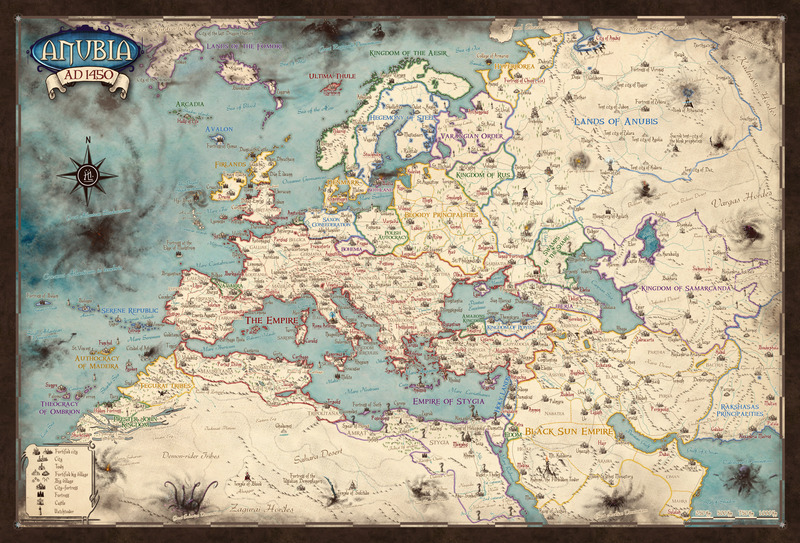 Note: to see the map in HD, after it’s loaded you can click with the right mouse button and choose to open it in another page. Then you can see it in HD and even download it! I’ve never watermarked the maps because I want all people that wanna use them for their own home-made setting or story to be able to do. But NOT for redistribution in any form or commercial product. If you wanna redistribute your free product based on this please ask me first, I’m very open to collaborations!